We are based out of four main hubs - Denver, Orlando, Boston and Amsterdam Schiphol. Additionally, we started operating out of Singapore Changi Intl. under our LCC brand S.E.A. Gull in 2008. Founded in September of 1998, Atlantic Sun continues to strive for excellence, and we continue to meet our ultimate goal each and every day - to provide pilots with a realistic flight experience while maintaining an organized and professional environment. 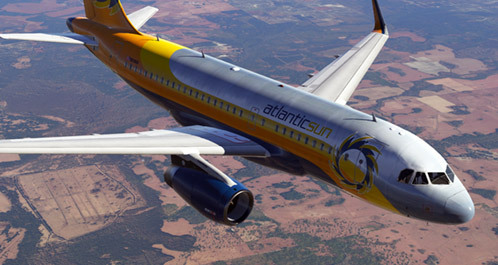 Atlantic Sun Airways is definitely a one of-a-kind virtual airline. Offering nearly unlimited numbers of flights per day, using different state-of-the-art aircraft, we provide an enjoyable and fulfilling virtual pilot experience. We support FS2004, FSX and P3D (to some extend). Additionally, we are gradually releasing textures for aircraft designed for X-Plane (v10 / v11). Join today - we would love to have you as part of the team. Atlantic Sun Airways... 'Expect more'.